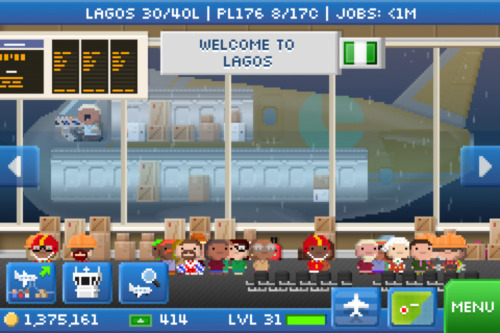 The basic 'gameplay' for Pocket Planes is pretty simple to explain: As an airline operator, players must purchase planes to fly, cities to operate out of (presumably, fees to operate in that city), and load planes with passengers/cargos and set destination to fly towards. Each completed job earns players cash which allows players to further expand. Note 1: As you can judge from the heading, this is a multi-part series. Pocket Planes does a lot of very interesting things that still has me hooked even months after release, but it's also done a lot of polarizing things that have pushed fans away. Instead of having a single post mixing in both sides, I'll split it into two and hopefully make it digestible... You may not agree with me holistically on whether this game is good or not, but I'll try to address each individual component within the game. Note 2: A lot of the analysis and comparison will be done against Tiny Towers, which I think is a fair comparison on how to design an F2P game, especially coming from the same developer. It would be a good analysis to see what they felt needed fixing, and the approaches they went in addressing the shortcomings of Tiny Towers. 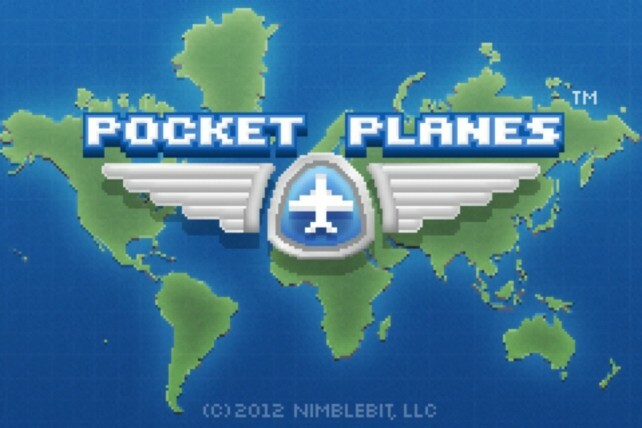 One of the most obvious changes Pocket Planes adds in contrast to Tiny Towers is the amount of player choice it offers to the players. In contrast to the linear structure of Tiny Towers (obvious with the level layouts), you're given choices everywhere in the game: cities to buy, planes to buy, flight location, who/what to load onto planes, when to expand, how to expand, etc... More importantly, this open ended structure lets player choose the most important part of the game: their own intermediate and end-game goals. Consider Tiny Tower's intermediate end-game goals: See the next random floor (yes, I'm aware that 2.0 changes that) and Build all the floors - Fairly modest and straightforward, but requires players to buy in to such goals. Pocket Planes deviates from this as there is no such structure: Players can start anywhere, and can buy anything as long as they have the cash for it. Hence, the game encourages players to come up with their own goals, whether it be operating a giant airline that operates in as many area as possible, or have a highly optimized airline, or even collect all the available aircraft in game. Along with increased player choice comes a deeper management system, where players now have actual choices that have meaningful consequences in all levels of the game. Here's a quick rundown of some of the choices in the different levels of the game. The actual management is surprisingly deep, and would keep min/max-ers (like myself) busy for days looking up the statistics of how to best operate most efficiently, balancing growth and profitability. In contrast to Tiny Tower's "placing people in the right floors", Pocket Planes looks and feels like a deep statistical simulation, which may be a great thing for players on iOS who're looking for a deeper experience. The surprisingly new feature in Pocket Planes has to be the Global Challenge, which creates an asynchronous multiplayer experience within a single player game. Players register themselves into "clan"-like groups, and compete for job deliveries with the global community for prizes within the game. This feature was a great way to create short term goals for people to aspire to, and allow the developers to use their current player base as viral marketers, piggybacking off gaming communities to talk about the game and drag more people into the game and "help the cause". ...that's all for now. Stay tune to the second part analysis of Pocket Planes, where I pick apart the numerous reasons why this game doesn't have the "stickiness" that Tiny Towers did.